Dear N Scalers: a customer of ours has requested a pair of SD40-2's coming from Kato restenciled in BNSF (as pictured below). 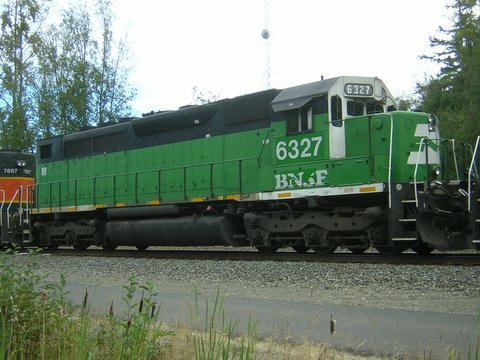 We will make a few extra of these BNSF engines, for those who want them. We are taking reservations now. We plan to do these in the spring of 2006, but will need to get enough Kato SD40-2s for all those interested. So you need to order early to insure supply. We will do multiple road numbers.